The company has gone and your home is settling back into its regular routine. While straightening up after your guests, get a jump start on your New Year cleaning. This is the perfect time to deal with the things you noticed during the holidays but had no time to address. If the snow and cold weather is keeping you inside, put your time to good use and tackle some. Carpet – Spot shampoo the heaviest soiled areas in your home. Save a full room cleaning for the Spring when floors can dry out completely. Oven – Now that the cooking is done, give the oven and stove top a thorough scrubbing. Kitchen – Steam clean your tile floors in kitchens to get up ground in food from grout. Refrigerator– Take out leftovers and wipe down shelves and drawers. Bathrooms – Scrub showers, tubs and sinks. Use a brush to clean tile grout. Clean the drains of hair and soap scum. Front door – Replace your holiday wreath with one that’s appropriate until Spring. Colorful berries, foliage or chrysanthemums are favorite choices. Like many of us, collecting more things than we actually use is a stifling habit. The New Year is the perfect time to rectify that. Declutter your home by donating things that have overstayed their welcome. Many charities can put them to good use. Clothing – Go through your closets and get rid of clothes you seldom wear. Bed linens and blankets – Inspect your sheets, blankets and towels for wear and donate. Throw rugs – Local branches of the Humane Society appreciate old rugs for their rescue animals. Plastic containers – Recycle the ones with no lids or that are stained. Once a year, purge your total collection by half. Christmas decorations – Before you pack them back up, donate the ones you rarely use. Kitchen appliances – If you received newer versions for Christmas, give away the old ones. Old Christmas cards – Add the names and addresses to your contacts and recycle the cards. Keep only those with special meaning. While your mind is focused on cleaning, decide what your next DIY projects will be. Add them to your calendar as a reminder of the things you wish to accomplish in the New Year. Give yourself time to research how to do the projects and the best materials to use. Then keep an eye out for sales long before you need them. Here’s to Bigger and Bolder DIY Projects in the New Year! The New Year brings lots of promise for great things ahead. By cleaning out the old and welcoming in the new, we continue to grow and enrich our lives. Challenge yourself in 2017 to attempt bigger and bolder DIY projects around your home. You’ll be glad you did. 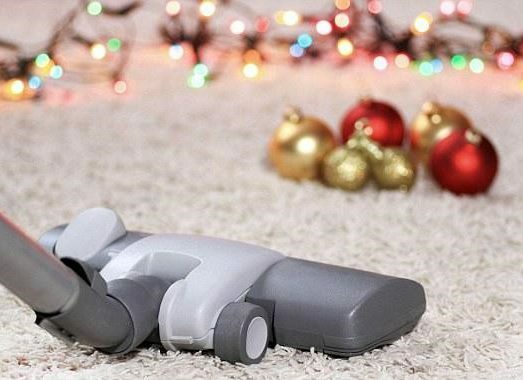 From vacuums and carpet cleaners to steam cleaners and floor polishers, our expert staff is always on hand to help find the right cleaning equipment to make your New Year bright and shiny. Want more tips on how to declutter your home? 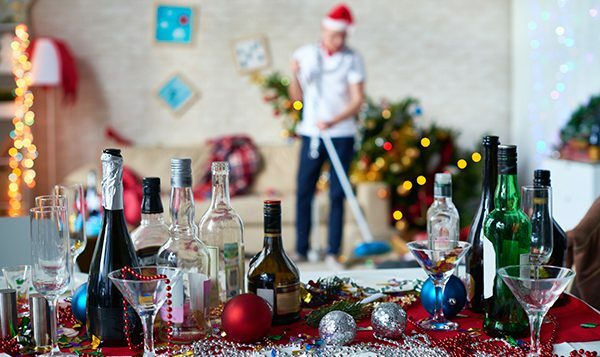 Our blog, Post Holiday Clean Up – 7 Ways to Bring It On, is full of information to help tackle all your unwanted stuff. As always, if you have any questions about what to choose, pricing or how-to’s, don’t hesitate to contact us. Stop by our store — we’re open seven days a week.